We have news for you. If you are planning on prancing your best plaid around at Halloween and claiming you’re a cowgirl, you had better go one step beyond braids and have a special hat atop your head. Or if you plan to bring a broomstick horse and fake gallop around the neighborhood trick-or-treating all night, then you had better look the part, cowboy! What is a cowboy without a cowboy hat? Just a guy in denim and plaid who probably needs to shower, that’s what! 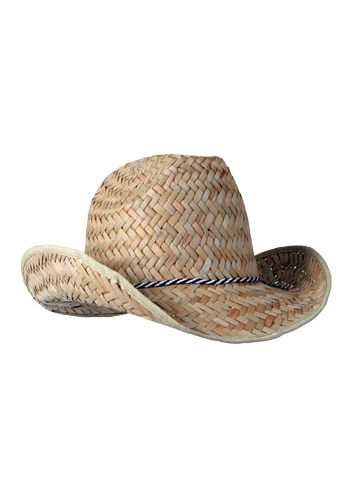 But add an accessory like this Straw Cowboy Hat, and your western themed costume can really take off. If you are surveying the land, looking for a way to set the right tone for your next country music concert, rodeo, or cowhand job interview, this hat is the perfect to show that you understand the duties associated with the position and take your cowboy-ing very seriously!